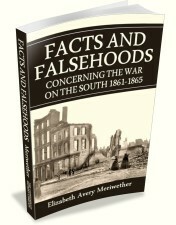 This extremely rare book provides page after page of quotations from nearly exclusively Northern sources showing that, for the past 150 years, the American people have not been told the truth about the so-called "Civil War" and the true nature and agenda of Abraham Lincoln's Republican party. As the author points out, "Imperialists always look on the people as sheep, to be deceived and driven" and "despotism is a noxious plant, which hates the light and flourishes only in dark places." A people who are kept in ignorance of their past will offer no serious resistance to tyranny in the present and future. This book raises a much-needed voice in defense of the many thousands of Southerners who died, not for slavery, as modern revisionist historians claim, but for their right, and that of their posterity, to govern themselves in peace. to read the staff review of this title. 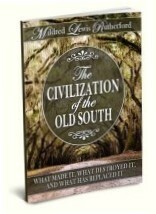 This is absolutely one of the best books I have ever read. I ..